readers to cover individual art forms and historical context. 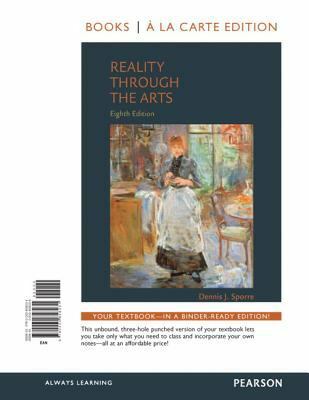 In addition, the seventh edition is now available with MySearchLab, an online program that includes an interactive etext, assessment, and help with research and writing. A better teaching and learning experienceThis program will provide a better teaching and learning experience– for you and your students. Here’s how: Personalize Learning– The new MySearchLab delivers proven results in helping students succeed, provides engaging experiences that personalize learning, and comes from a trusted partner with educational expertise and a deep commitment to helping students and instructors achieve their goals.Improve Critical Thinking– Questions about specific issues appear at the end of each chapter, helping students develop their analytical skills.Engage Students– Human Reality features and vibrant illustrations throughout the book give students a further understanding of the artistic process.Support Instructors– New MySearchLab,Music for HumanitiesCD, Instructor’s Manual and Test Bank are available for this text.Note:MySearchLab with eText does not come automatically packaged with this text. To purchase MySearchLab with eText, please visitwww.mysearchlab.comor you can purchase the a la carte edition of the text + MySearchLab with eText: ISBN-10: 0205858244 / ISBN-13: 9780205858248 This Books a la Carte Edition is an unbound, three-holed punched, loose-leaf version of the textbook and provides students the opportunity to personalize their book by incorporating their own notes and taking only the portion of the book they need to class — all at a fraction of the bound book price.